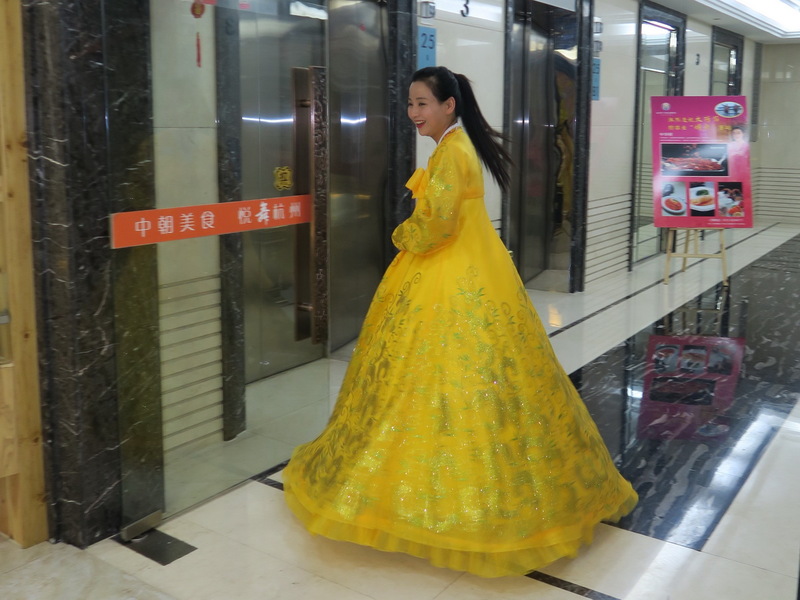 An Evening in North Korea… Mixed feelings probably best describes my reaction to the offer of an evening in North Korea. I was in the scenic and historic Chinese city of Hangzhou on a business trip and had accepted an offer of dinner. When I asked where we would be eating, the answer came back “Pyongyang”. Which I knew as the capital of the hermit kingdom of the Jong-il “dynasty”. But a quick check of the internet revealed that it is also the brand name of a North Korean themed restaurant chain. Depending on whose version you believe… The restaurants are either a source of much-needed cash for the isolated and heavily sanctioned nuclear power. Or a front to launder the money it earns through its much shadier business ventures. 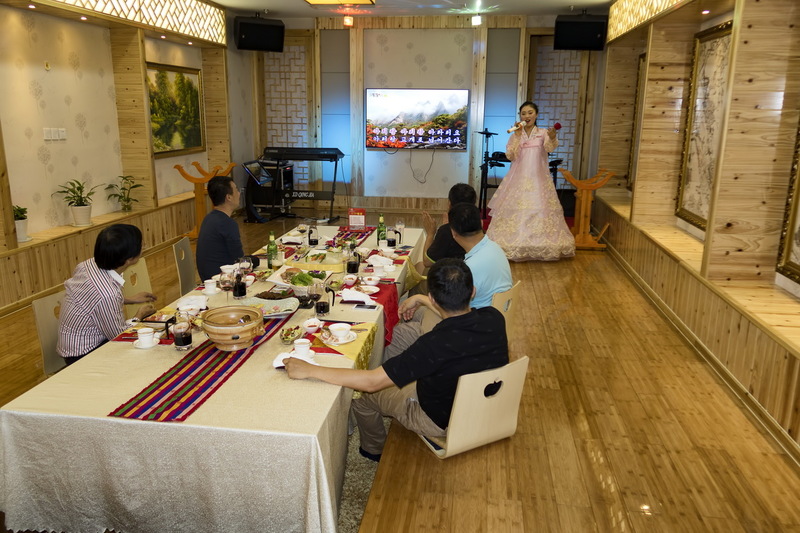 Either way it charges very high-prices for a sample of North Korean culture and cuisine. Done using staff brought in to the host country who are kept in almost completely isolation and only allowed out with a “minder”. Clearly, exploiting its citizens in such a way is not a good thing and by accepting the invitation I was probably making it worse! But… my curiosity to see what it was all about got the better of me and I am basically writing this post as a conscience-salve! A little strange is how I would describe it. 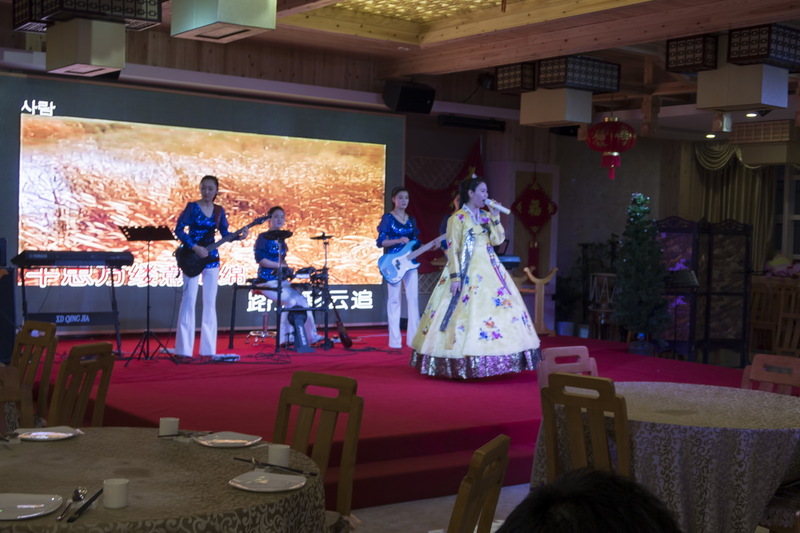 A large open restaurant – with an all-girl band, dressed just a little bit like it was 1980, playing to isolated groups of diners. 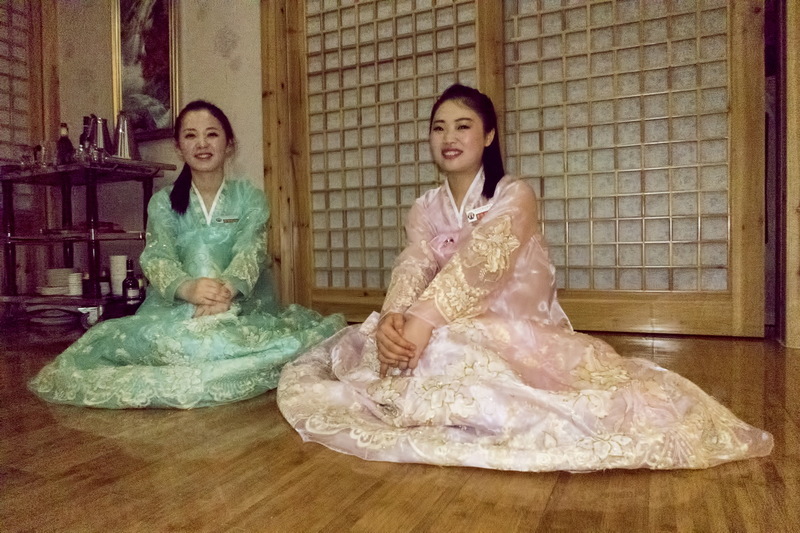 My attempts to photograph the scene were quickly shutdown… And we were ushered in to our private room, complete with two pretty North Korean young women in traditional dress, who were our hosts for the evening. 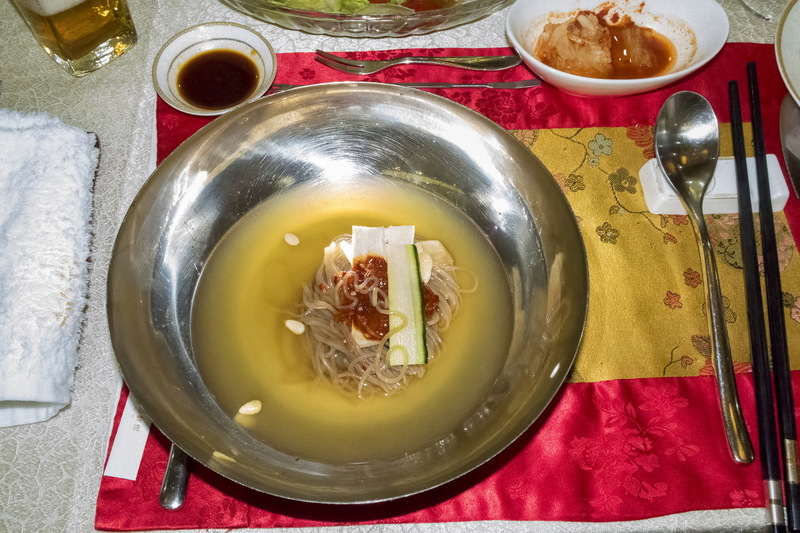 The first of a series of North Korean dishes quickly appeared. 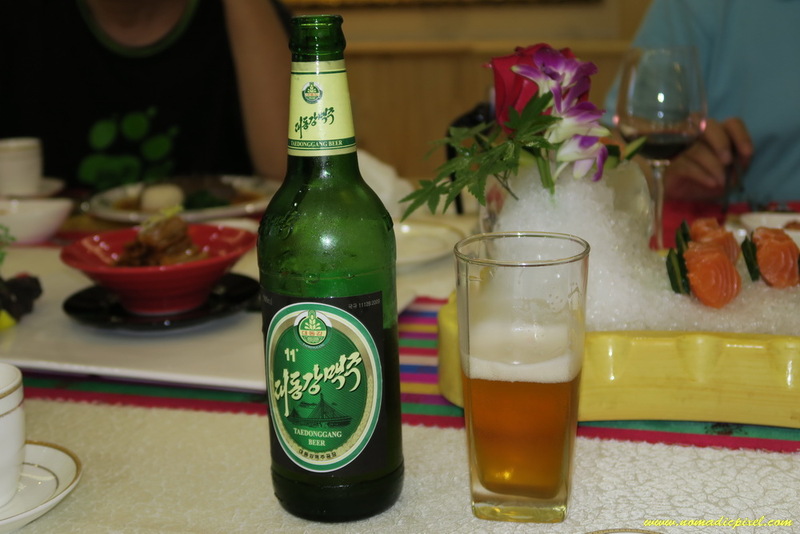 And my request for a beer resulted in a bottle of “11” Taedonggang appearing. Overall the impression I have is South Korean food meets Japanese – in small portions. Combined with kimchi that is much spicier than its southern counterpart. No sooner was the food finished that the entertainment began. 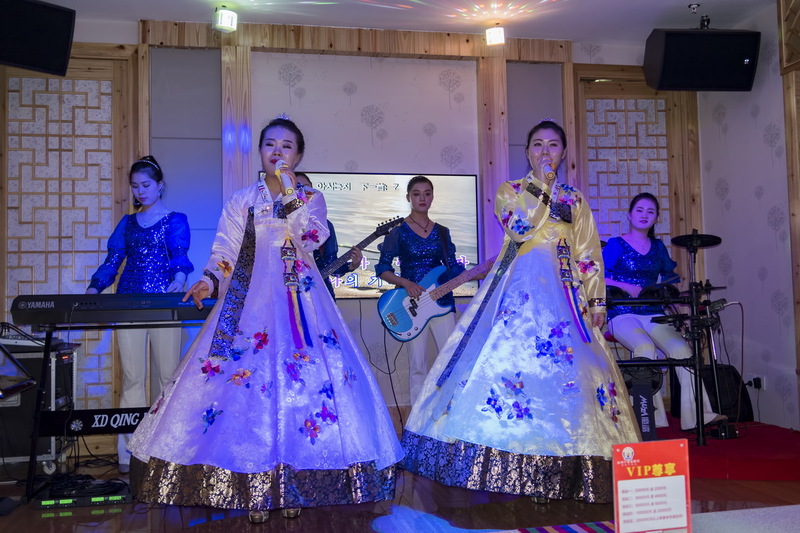 Which consisted of our hostesses bursting in to patriotic songs against a backdrop North Korean scenery on the karaoke screen. Let the patriotic songs begin! Then we were treated to our own session with the all-girl band. Who performed three more equally patriotic numbers against the same backdrop. Complete with two singers belting out the lyrics and by this time. Although I speak no Korean, it was becoming fairly obvious that North Korea is a very patriotic place! A veritable tour de force of patriotism! I managed to get a few minutes of video before being shut down… Strangely it seemed OK to take photos in the private room but not video. 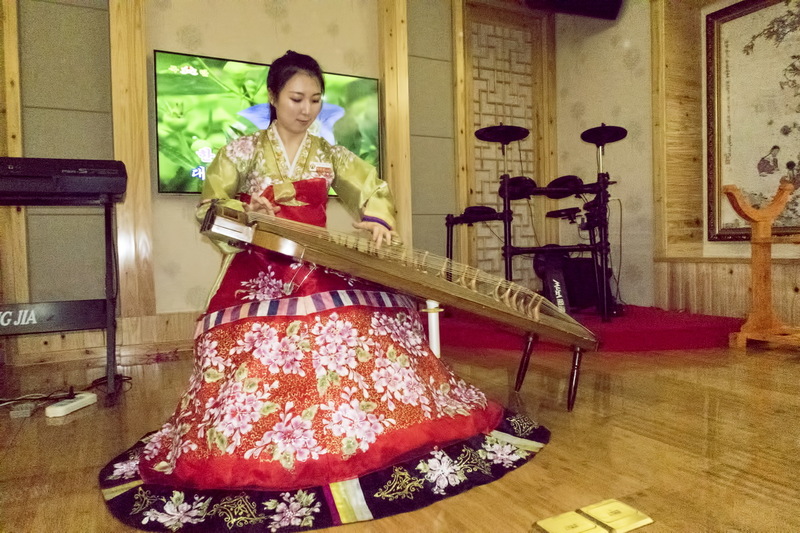 The highlight of the night though was without doubt an incredible performance by one of the senior hostesses of the North Korean gayageum 12 string harp which I personally thought was quite stunning and I even managed to get some more surreptitious video of the performance! In this day and age we take freedom of speech and movement and to socialize with who we want as a basic human right. So to be exposed in this way to people who clearly have no such freedoms is quite chilling. But it was obvious to me that an undercurrent was very much present. 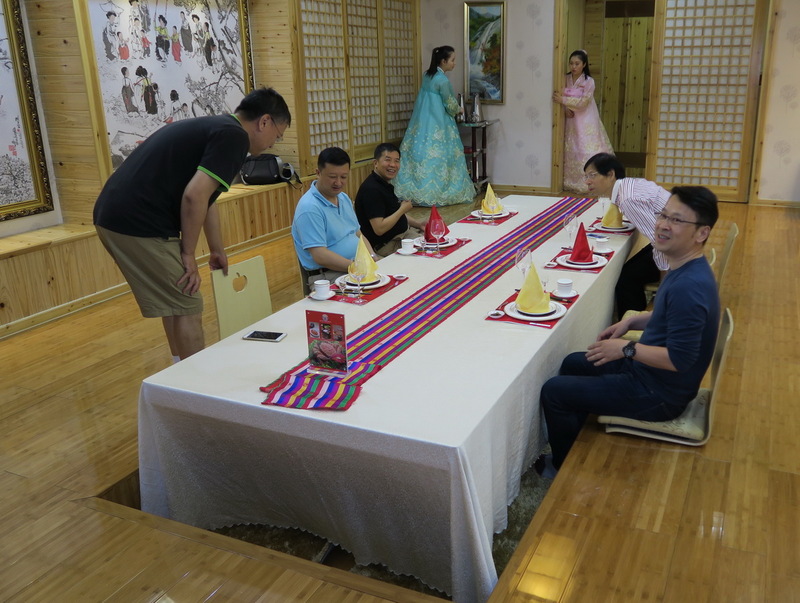 And (as I now understand it) that comes from the fact that all the North Korean “staff” of the Pyongyang restaurant staff are chosen for service overseas because of their loyalty to the Jong-il regime. Many are apparently from important families in North Korea. The known brutality of the regime to anyone found to be (or thought to be…) disloyal has been well documented. So the very safety of their families is clearly at stake. So… am I glad I went to the Pyongyang restaurant? Overall yes I am, because I now have a much better understanding of the situation, and hope to make more people aware of it from this blog post. Would I go again, categorically no!